1969 BSA Firebird Scrambler 650cc frame, swing arm and kickstand. 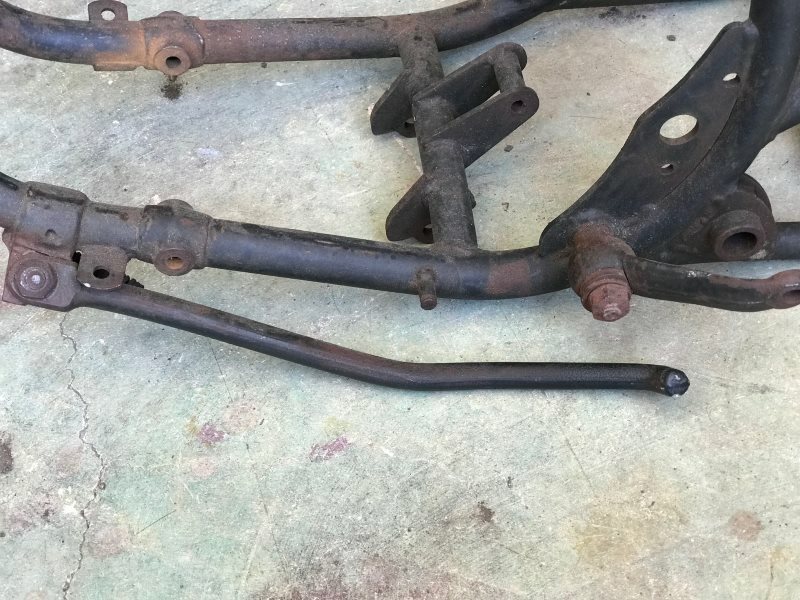 I acquired a BSA frame and swing arm in a deal yesterday. The point is it is a nice frame and I have no use for it. Am interested in selling it to someone who will enjoy it and build it. 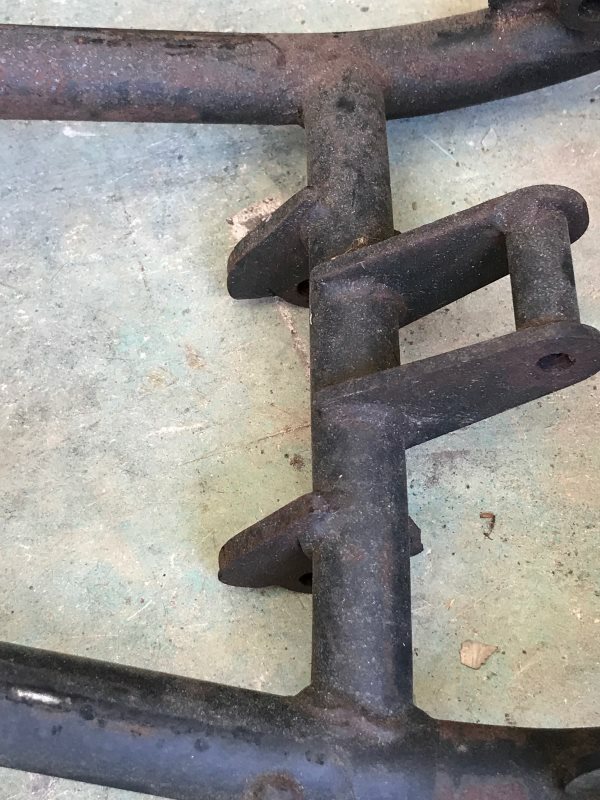 This still has some brackets on the frame, kickstand and swing arm. 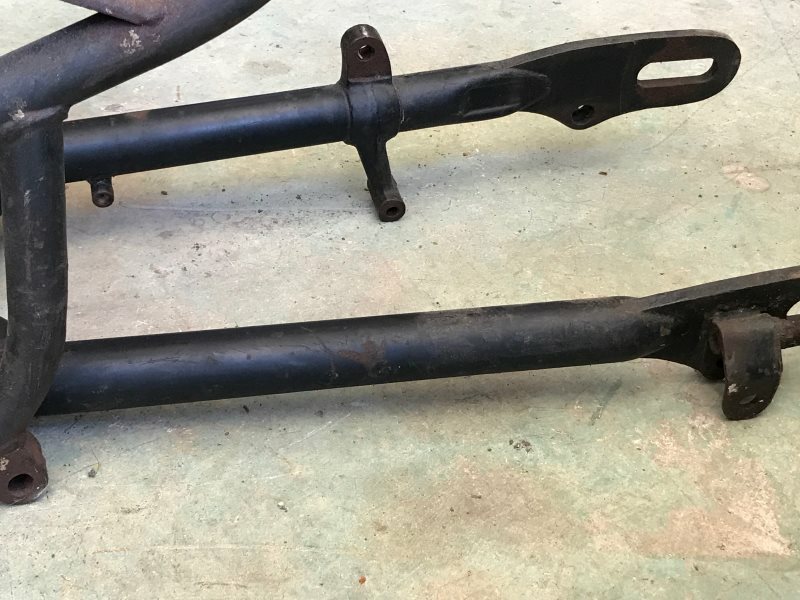 The swing arm is not attached to the frame so please verify it is the one for the frame as I don’t know anything about BSA bikes but what I have read in the past couple days. 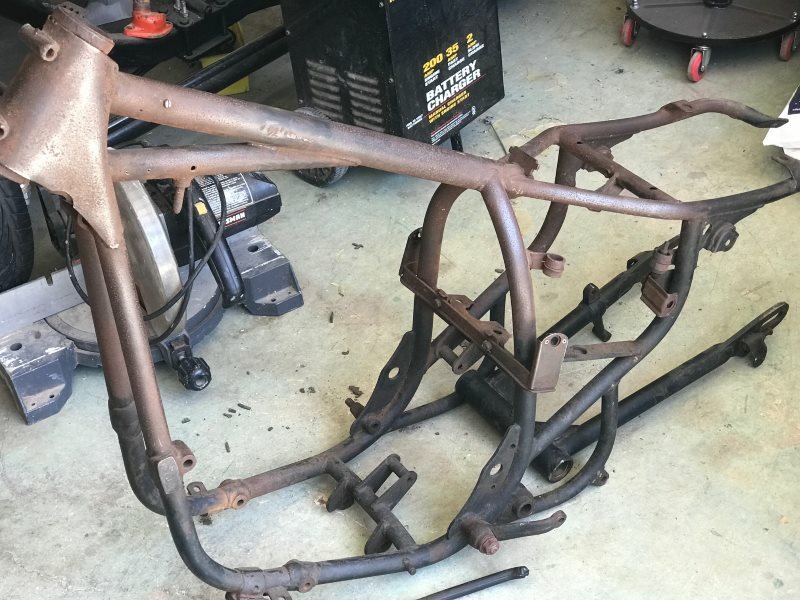 The frame has some pitting and a ding or two. I tried to get pictures of the most common issues on this frame. I did not see any cracks or what stood out as Repared welds. Make an off. It’s only worth what someone will pay to me. 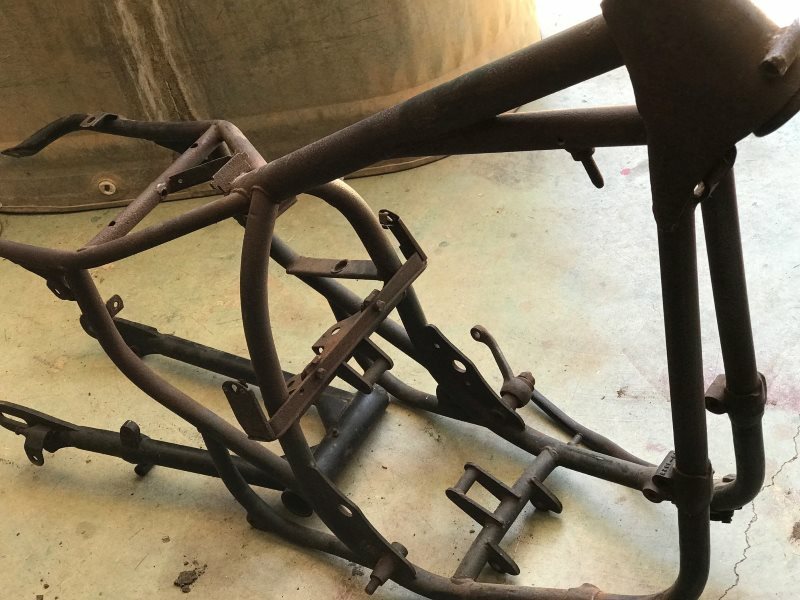 I just want to get it in the hands of someone who appreciates the BSA brand and who will build this frame up. I will entertain all offers. Buyer is responsible for shipping fees and arrangements. 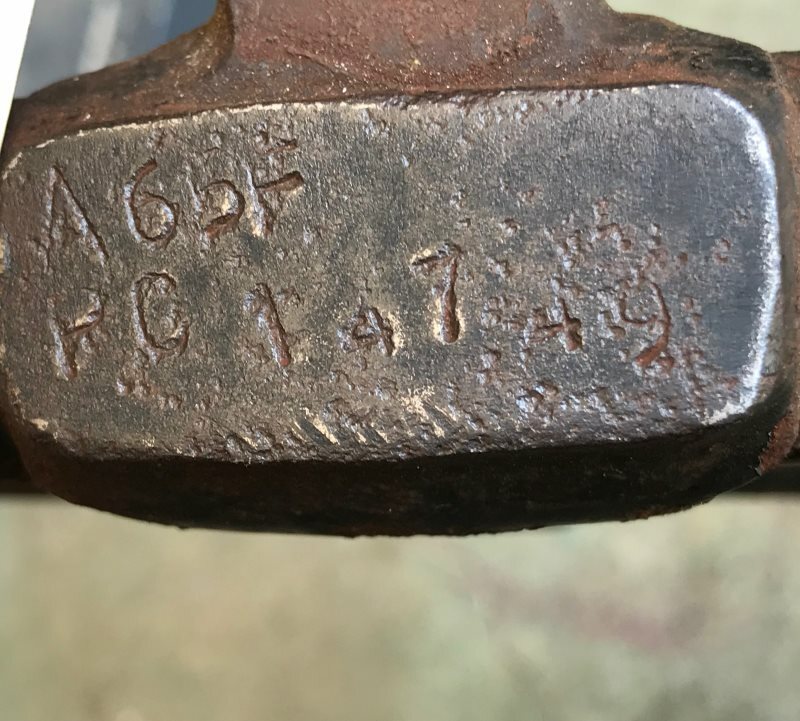 I will drop the frame off at the shipping company of their choice but buyer pays shipping, boxing/crating and has it set up before I drop it off. If I thought that this was not usable I would junk it. I hope someone can use this.